Amongst 12 zodiac signs, Aries is a truly lusty sign. Being action-oriented, the Rams go after what they desire. If you know any individual who were born between March 20th and April 19th, you’ll get what I am talking about. Ruled by Mars planet, most Arians possess the confident nature allowing them to do things their own way but still yielding amazing results. Why are Aries so attractive, comparing to others? Read on to understand more about this sign. Known for being independent, passionate, and energetic, a person with this zodiac sign is definitely a do-er, not a talker; and this inspires respect. They are pretty charming (even if they don’t feel it inside), and their defiant individuality is attractive and catalyzes others to hold fast to their inner impulses. 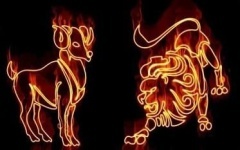 Aries is a light that warms everyone up yet often burns; also, they prefer to do things in the same manner. Wondering what makes the Ram captivating to many? Maybe it’s their vitality! Always full of energy, most Arians surprise people with their endurance and passion, in any situation. 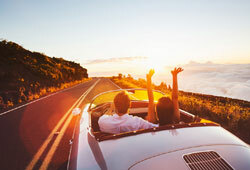 In love, Aries-born individuals seem restless, flirty, and intense. They easily attract people through their personal charisma. You will find it’s really fun to be around and never boring when being with an Arian lover. 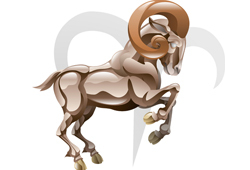 Aries has a brilliant mind and energetic personality, plus Aries qualities can be brought to the relationship lives as well. Aries natives can be quite attractive…why they attract a lot of people? When being in love with the Ram, you will realize that, in most cases, they tend to take the initiative to plan things and surprisingly bring out the amazingly fantastic results. This sometimes makes an Aries lover, especially a man, seem domineering and bossy; on the other hand, Aries women run things with more charm. Instead of pushing ahead with her way, she will be willing to wait for her mate to come around in any sort of circumstance. Both Aries men and women are considered as passionate companies. Also, one of Aries personality traits when it comes to love relationship is – Aries do not get jealous easily. People of this sun sign need to know that they have freedom to do whatever they want to. To respond to the partner’s jealousy, a male Arian possibly goes out and has a fling; just to prove that he is the one in control. In the meantime, a female Arian may move herself away from a possessive mate and immediately move on with her fast-paced social life. Most Aries people are certainly risk-takers – they just rush into things and do anything with any hesitation. They rarely have a hard time, unlike us, when making a decision, even the important ones in life. Regardless, they tend to captivate others’ attentions and interests because they dare to do things that the others are too afraid to try. Those are either prisoners of their fear, pride, and ignorance. So, why are Aries so attractive? The Rams are gentle people in reality. Though they often act first and think later, causing quite many problems, they do have a loving and tender side to the one they love. They are spontaneous, also. Hey, as a fellow Aries, I just learned something new about my sign. I did recognize a few things that Aries do when in love that I do. I could relate to other details, and some were new to me. Glad that our article here can give you more insights about your zodiac sign. He indeed *tend to take the initiative to plan things and surprisingly bring out the amazingly fantastic results. He brings out the adventurous side of me (Gemini). And it’s true that he’s got the upper-hand but I truly am fine with that.